عندما تزور هانمر سبرينجس, ستشعر أنك في بيتك في Marchmont Gardens الذي يقدم لك إقامة متميزة و خدمات عظيمة. يمكن من هنا للضيوف الاستمتاع بسهولة الوصول إلى كل ما تقدمه هذه المدينة النابضة بالحياة. يوفر الفندق بفضل موقعة الجيد وصولاً سهلاً إلى أهم معالم المدينة.
. يعمل Marchmont Gardens على ضمان إقامة مريحة لضيوفه من خلال خدماته الممتازة وحسن ضيافته. يمكن لضيوف الفندق الاستمتاع بالميزات التالية على أرض الفندق: واي فاي مجاني في جميع الغرف, واي فاي في المناطق العامة, صف السيارات, خدمة غسيل الملابس, الحيوانات الأليفة مسموح بها . بالإضافة لهذا,تتضمن كل غرف الضيوف مجموعة واسعة من وسائل الراحة . بعض الغرف توفر حتى تلفزيون بشاشة مسطحة, اتصال لاسلكي بالإنترنت, غرف لغير المدخنين, مكيف هواء, تدفئة لإرضاء أكثر الضيوف تطلباً. يقدم الفندق خدمات رائعة كمثل حديقة لمساعدتك على الاسترخاء بعد نهار طويل من النشاط والتجوال في المدينة. مهما كانت أسبابك لزيارة هانمر سبرينجس، فإن Marchmont Gardens هو الخيار الأفضل لإقامة مثيرة وممتعة. Prior to our overnight stay in the Mt Dunblane Suite at the Marchmont Gardens B&B in Hanmer Springs we had spent the previous two nights in a newly refurbished Harbour View Executive Suite at the 5 star Intercontinental Hotel in Wellington and we have to say we found the accomodation on offer at the Marchmont Gardens to be comparable and the breakfasts by far exceeded what the Intercontinental had to offer and all this at a fraction of the cost. 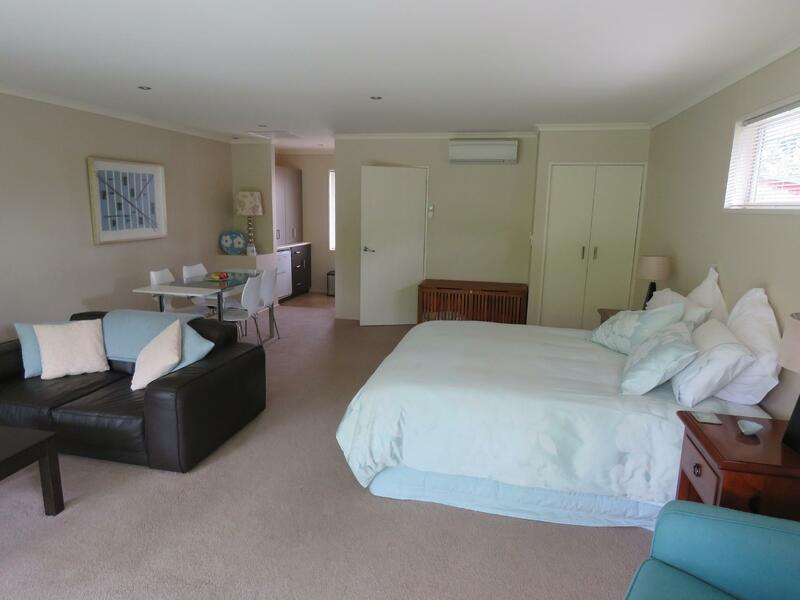 After my stay at the Marchmont Gardens I will be certainly looking at using more B&B options in the future and when in Hanmer Springs the Marchmont Gardens would be my B&B of choice. Located within a few minutes stroll to restaurants, shops and the fabulous day spa. The breakfast was amazing, Bindy cooks everything herself including the delicious raspberry jam. She also does a 'turn down' service, we arrived after to find our bed turned down and a lovely homemade delight awaiting us. Her knowledge of the area was immense and her recommendations perfect. The day spa and hot spa is a must. Relaxing and peaceful. Good base for planned activities. Our hosts were extremely kind, welcoming and helpful. The breakfast was superb and the accommodation and gardens were idyllic. Our hosts were extremely welcoming, kind and helpful. Significant effort has been made to ensure guests have a wonderful experience with attention to detail to all areas of the experience; accommodation, garden and fabulous breakfast. On arrival we were welcomed with a bottle of wine and lovely nibbles to enjoy in the sunny garden at the foot of Mount Dunblane and Mount Isa. We were fortunate enough to be the only two guests at the time so we had the garden to ourselves. The suite was tastefully furnished and had everything we needed and more. A short walk into the village of Hanmer Springs where there are plenty of restaurants, coffee shops and of course the Hanmer Springs thermal hot springs. If you are a golfer the golf course is over the road! Would highly recommend. Fabulous place to stay booking out both rooms as two couples travelling together would be perfect and I plan to do that when I return. Bindy is very helpful and suprised us with some home made treats. 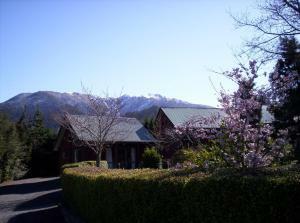 great value for money, although to get anywhere we did need to jump in the car everytime so is not in the 'centre' of hamner but was a pleasant stay. Bindy's enviro attitude was also lovely to see. 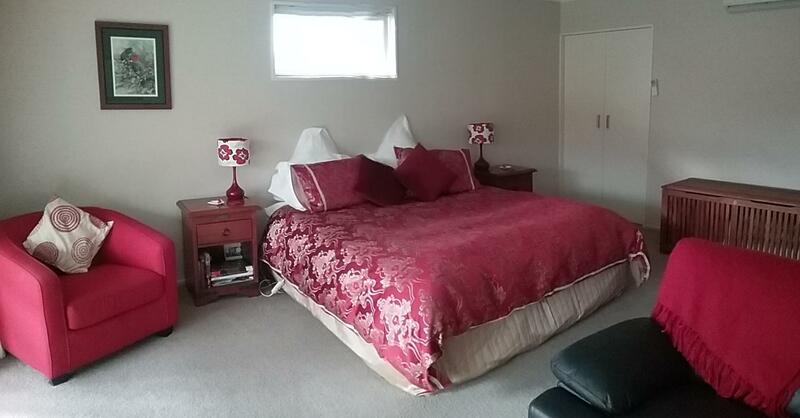 Lovely garden, lovely hostess, lovely room and close to town. We had a real "flying" visit - arriving on Saturday morning, left on Sunday morning. Whilst we've visited Hanmer before, this was our first time at Marchmont Gardens but we'll definitely be back to stay again. Every consideration has been made in the room furnishings and decor for comfort and a stress-free stay. The room we were in looked out onto the garden which, even in winter, was a pleasure to see. It was only 10 minutes walk from the centre of town, but so quiet - providing the best of both worlds. Unfortunately we did not select to have the breakfast, but I think that was our mistake as I'm given to understand now that it is well worth it. Next time we'll choose the breakfast option too.